Again?! That's right, it seems every few months Facebook is making national headlines for another hack or security flaw. Last night Facebook revealed that it found a flaw back in January that millions of users passwords had been stored in clear text and were easily retrieved using simple database queries. What this means is that your password may likely have been stored in clear text and not encrypted, making it very easy to steel your password, log into your account, and gain a lot of valuable information or even impersonate you. What's really disturbing about this is that many people utilize their Facebook account passwords for many other accounts including banking, finance, work, email, and other websites. Then, there is the Facebook login access being used to login to many other services such as Instagram and various smartphone Apps that could easily lead to your password being exposed between applications. 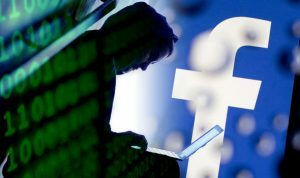 Given that millions of passwords had a chance of exposure we believe it will only be a matter of time until it hits the news that millions of Facebook account credentials are dumped into the dark web and exposed to hackers. As your trusted IT Advisor we are recommending that you change your Facebook password along with the password to any other account you may have had that used the same password as soon as possible for your safety. Curious how hackers can get into your business network? Click here to learn more. Previous PostPrevious What should you be paying for IT Services?